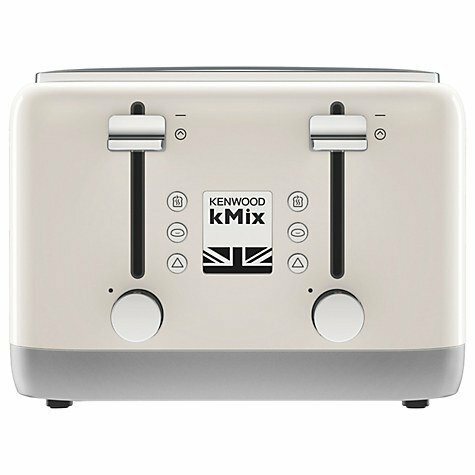 Make a statement in your kitchen with the Kenwood kMix 4-slice toaster. With a sparkling stainless steel trim alongside coloured sides makes this an attractive addition to any worktop. These an impressive 1800 watts of power, and 4 slot capacity, this machine included illuminated buttons for safety and clarity. An adjustable browning control ensures your toasting results are consistent, while a removable crumb tray makes cleaning easy. The Kenwood TFX750 Toaster was added to the Toasters category in March 2017. The lowest price GetPrice has found for the Kenwood TFX750 Toaster in Australia is $95.00 from David Jones . Other merchants who stock it are David Jones , Peter's of Kensington, Appliances Online.